Raise your sewing to a new level! 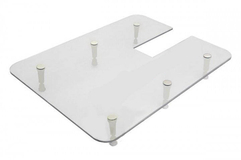 At GUR we stock portable, adjustable sewing machine extension tables that adjust to Brother Sewing Machines. Classic Table Size: Width 400mm (16") x Depth 300mm (12").